This stall has recently opened at Tanjong Pagar Plaza Food Centre on 7 May 2017. 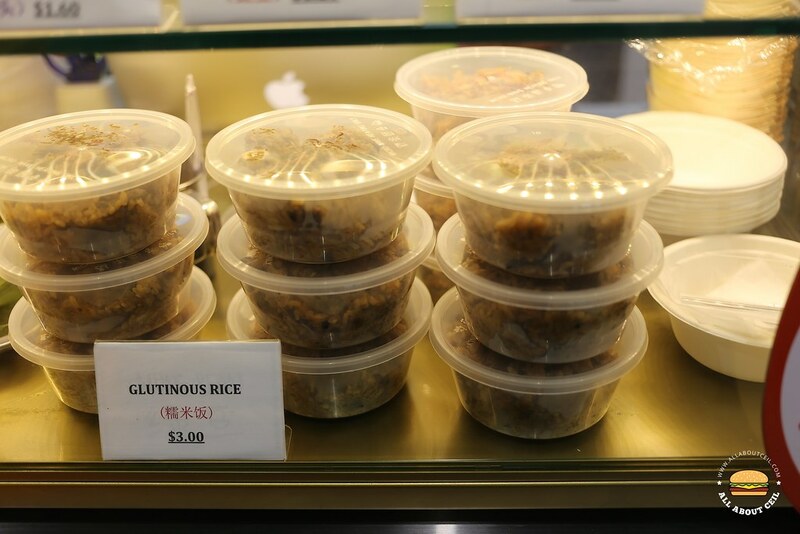 They used to be at Ci Yuan Food Centre for a while before moving here. 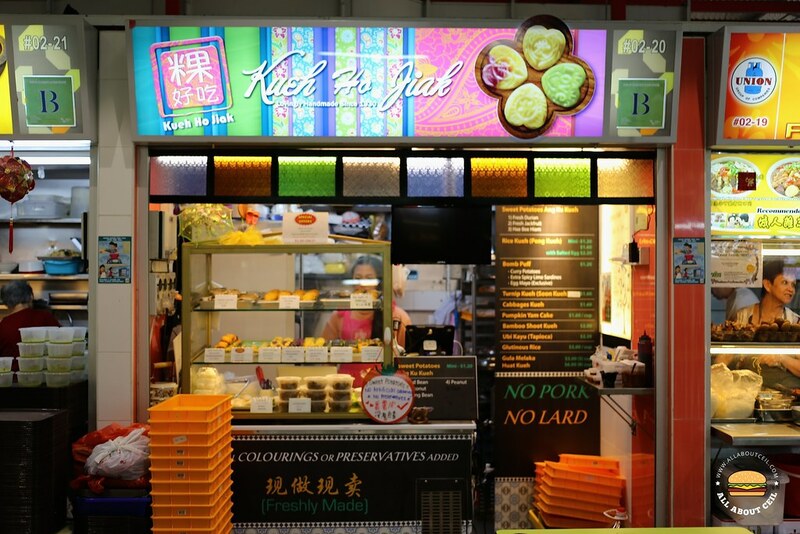 This is an unassuming stall serving the good old-fashioned handmade Peranakan kueh. 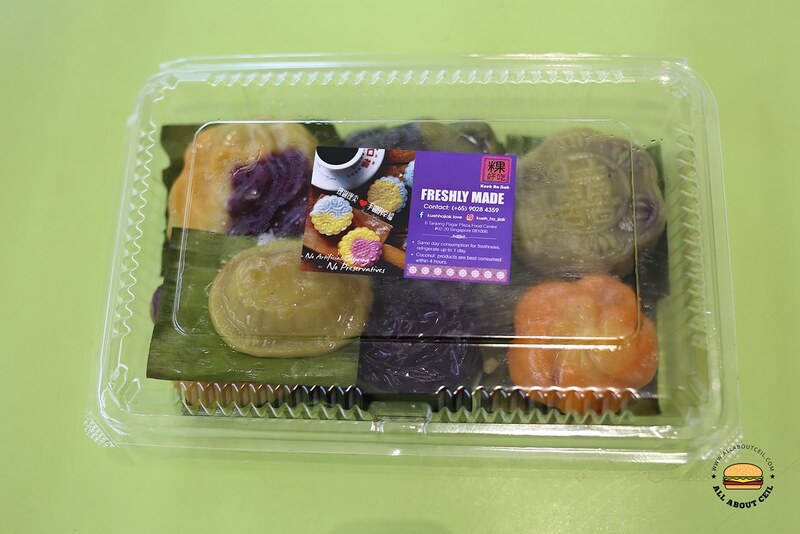 They are freshly made with quality ingredients laboriously without using artificial colouring and preservatives with recipes created by Chef Sandy Hannah Tan, the founder. And, Sandy is working along with Elizabeth Elisha Chan, her daughter. Elizabeth was manning the stall all by herself when I was there. She said, "Our Kuehs are made of sweet potatoes and they are very healthy." She then said, heartwarmingly, "你可以放心吃! ", which means "you can eat without worry!". They handcrafted every piece painstakingly, with a great amount of patience, demonstrating the love for handmade and this is what differentiate theirs from the others. 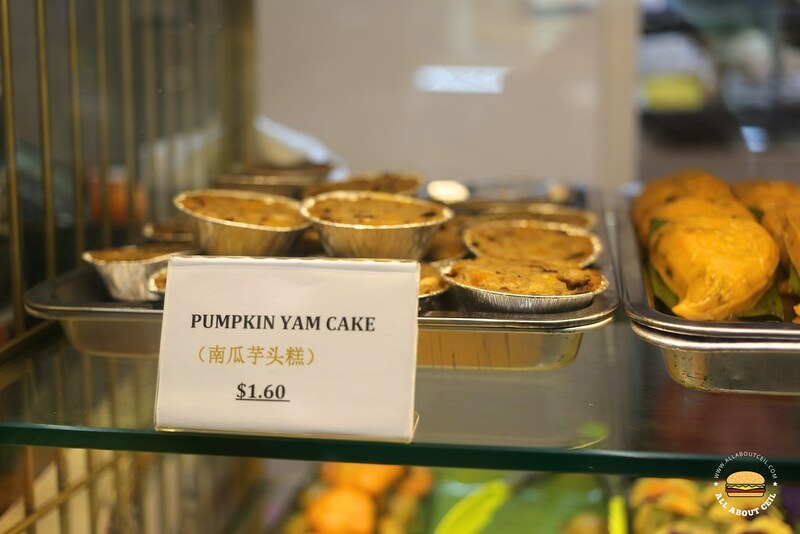 They serve not just Ang Ku Kueh and also Pumpkin Yam Cake ($1.60), Sweet Potatoes Rice Kueh ($1.60), Rice Kueh with Salted Egg ($2.20), Soon Kueh ($0.80), Ubi Kayu ($2.20) and Glutinous Rice ($3.00). 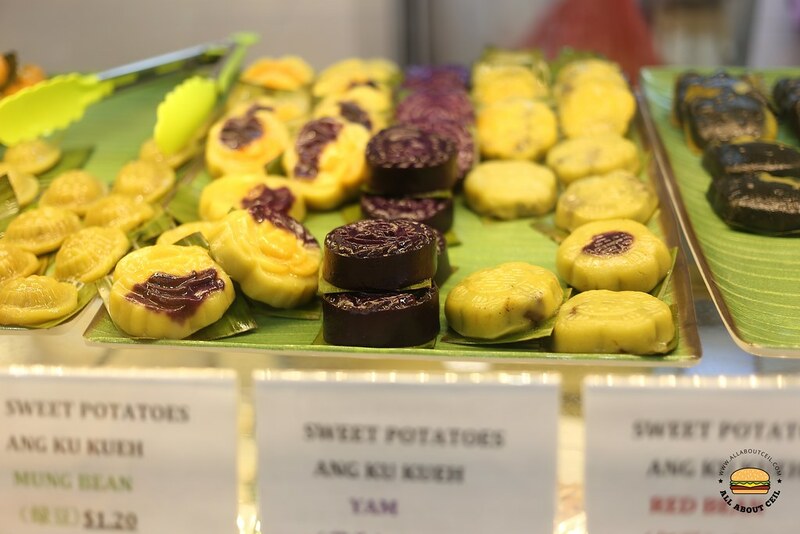 I decided to go with one of each flavour of their Ang Ku Kueh and there was a total of 7 flavours on that day, starting from Hae Bee Hiam ($1.60), Mung Bean ($1.20), Yam ($1.60), Red Bean ($1.20), Peanuts ($1.20), Coconut ($1.20) and Durian was at a discounted price of $1.00. Elizabeth packed them neatly in a plastic box and held it for me to take a picture. 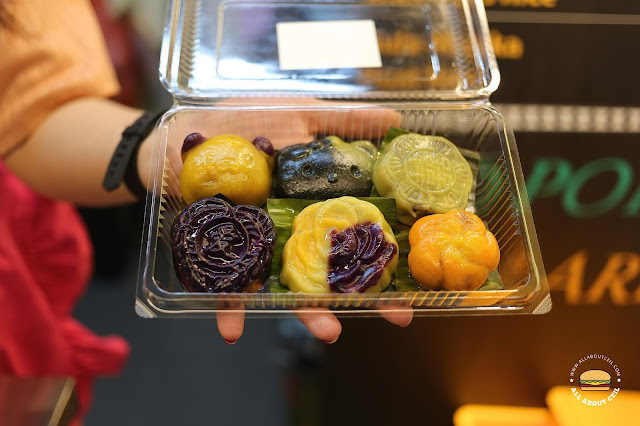 Those Ang Ku Kueh came in different shapes and sizes, there was a hello kitty, a bear, 2 flowers, a heart with the 爱 (love) in the centre and a round shaped one with a 囍 (double happiness) on it. The skin is made of purple sweet potatoes, it is very thin and firm with a delightful chewiness and not greasy as well. And, why did they choose to use sweet potatoes? 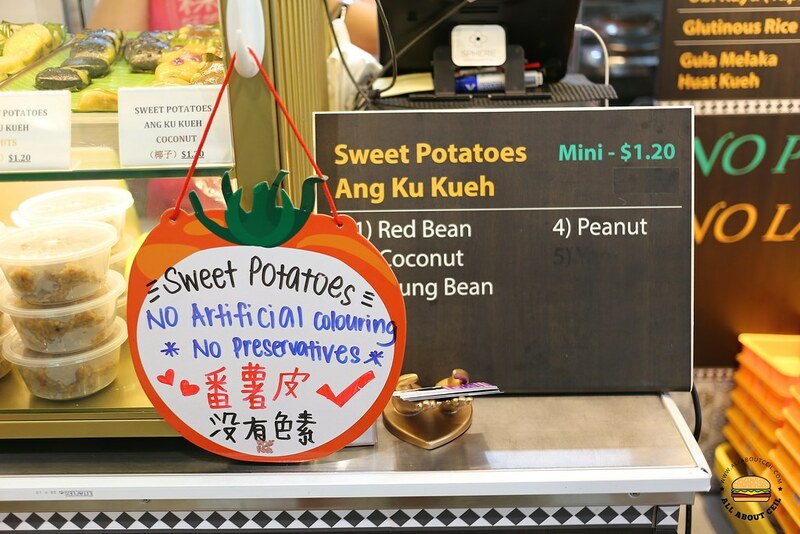 The main reason has to be it is different from those regular sweet potatoes in flavour and texture, it is denser and has a richer taste with a well-balanced sweetness. Overall, it strikes a good balance between the intensity, flavour and texture. Those were one of the nicest Ang Ku Kuehs that I have ever eaten. When I was about to walk away, Elizabeth asked me to wait for a bit. She was serving other customers at that time. She placed a piece of Pumpkin Yam Cake and a Sweet Potato Rice Kueh on a disposable boat shaped bowl then drizzled some dark sweet sauce on it with chilli by the side and handed it to me. She said, "请你吃!" which I happily obliged. 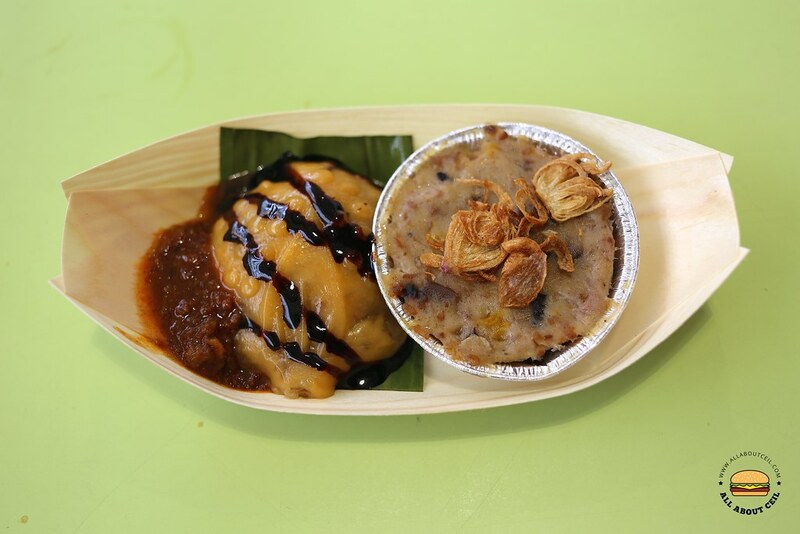 It tasted different from the usual Yam Cake and Rice Kueh, it is the healthier version and with a good amount of ingredients embedded in it. Though slightly expensive, the level of thoughtfulness behind each of it is worth the value. This was in one of their posts on the Facebook page, "There is no love, more sincere than the love of food. Food is a passion, food is love. Cook with Love & Passion."